Manchester United new boss Joss MourinhoÂ told their most experienced person to start looking for new clubs as per the latest reports to telegraph. 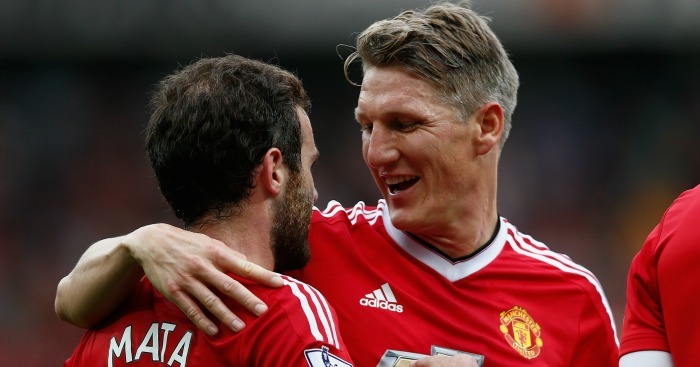 Mourinho told Bastian Schweinsteiger, Juan Mata, Daley Blind and Marcus Rojo to start looking for new clubs. Recently Mourinho have signed 4 top players for this season and one of them is became most expensive player in the football till now. Zlatan Ibrahimovic, Henrikh Mkhitaryan, Eric Bailly and finally Paul Pogba have all signed for the Premier League giants this season. Schweinsteiger has been made to train away from the first squad, the other 3 players have all been involved in pre-season and even made appearances in the Community Shield against Leicester City. Mourinhoâ€™s and Mataâ€™s frosty relationship seemed to deteriorate further during the Community Shield game when the Spanish playmaker was bought off even though he himself had made a second half substitute appearance. With the arrival of Pogba for a world-record fee ofÂ â‚¬105 million, United are looking to get rid of the deadwood and Mourinho is going to be ruthless with these four stars.